Honored by the University of Alberta as a Distinguished University Professor and esteemed by the industry as a pioneer in the area of oil sands research, Jacob Masliyah was the original project leader of OSCIEF until his retirement in 2008. Dr. Masliyah was the first holder of the prestigious NSERC Industrial Research Chair (IRC) in Oil Sands Engineering. His accomplishments in the area of oil sands research are many but we’ll restrict ourselves to two main areas of his career: research and teaching. 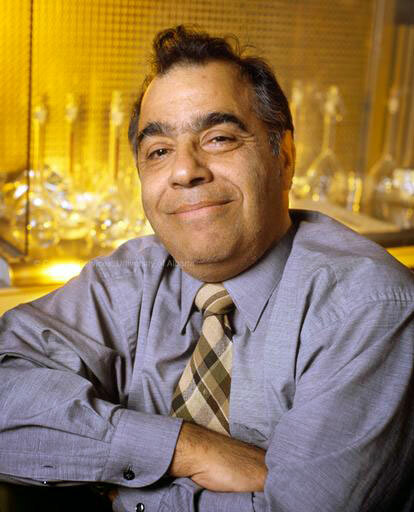 Regarding oil sands research, Dr. Masliyah paved the way to make oil sands recovery the mature technology it is today. Applying his fundamental scientific knowledge in the areas of heat and mass transfer and surface and interfacial phenomena, Dr. Masliyah has made an indelible contribution to oil sands extraction and processing in Alberta over the past 30 years. This research has created several academic-industrial relationships that thrive to this day. While making his mark on oil sands extraction, Dr. Masliyah has also influenced the next generation of oil sands researchers through his teaching. Dr. Masliyah has mentored many undergraduate and graduate students through instruction both in the classroom and in the laboratory. In the classroom, Dr. Masliyah has taught many core courses in Chemical Engineering. In the laboratory, Dr. Masliyah has worked both with undergraduate and graduate students to learn more about the scientific fundamentals that drive oil sands phenomena. Dr. Alidad Amirfazli is a professor in the Department of Mechanical Engineering. He currently holds an NSERC Canada Research Chair in Surface Engineering. His research interests span two main areas: surface engineering and instrumentation; and biomechanics. As a result of studying fundamental material properties, surface engineering can develop customized surfaces ready for today’s toughest challenges. Dr. Amirfazli’s work in biomechanics is primarily related to the knee. Dr. Amirfazli brings the specialized knowledge of interfacial phenomena needed for creating the advanced materials necessary to improve oil sands extraction. 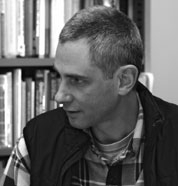 Dr. Andrzej Czarnecki is a professor in the Department of Physics. His main area of interest is particle physics. 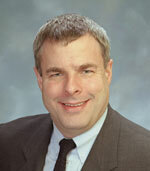 Dr. Czarnecki is a specialist in the areas of computational fluid dynamics and subatomic/condensed matter physics. Dr. Czarnecki assisted OSCIEF in the creation of its high-performance computational cluster. Dr. Murray Gray, a professor of Chemical and Materials Engineering, is a well-established authority on oil sands upgrading and the director of the Centre for Oil Sands Innovation (COSI). Dr. Gray and COSI are interested in reducing the environmental impact of oil sands processes. 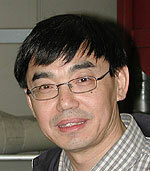 Dr. Zhenghe Xu is a professor of Chemical and Materials Engineering. He is the current holder of the NSERC IRC in Oil Sands Engineering. His knowledge in the areas of surface and interface characterization, as well as oil sands processing, make him a valuable contributor to OSCIEF.